The avatar is designed to be a part of merchant’s branding. You can choose either to upload your picture as the avatar, or you can choose to upload your business logo. The avatar appears in 3 places. 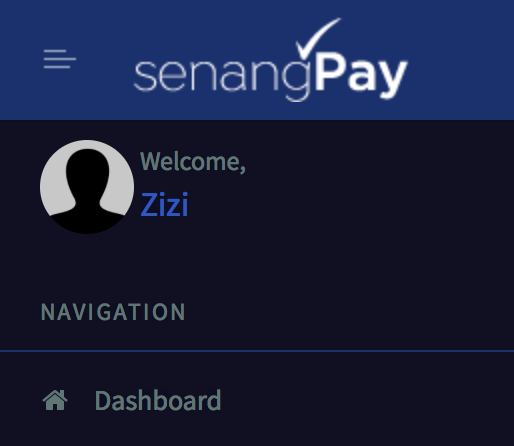 First, in your dashboard, below the senangPay logo. Second, also in the dashboard, right, on top of the header. 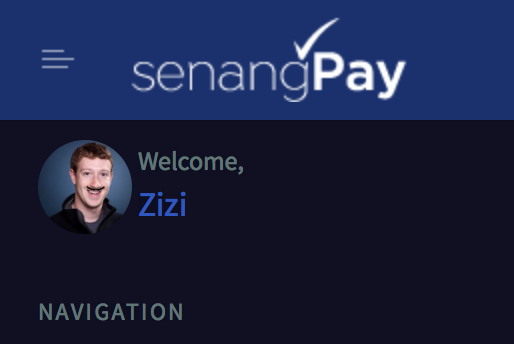 Third, the avatar appear on your Universal / Unique payment form business header. 1. To change the avatar, simply go to Setting > Profile. 2. Under the “Personal & Business Particular”, scroll down to the avatar. 3. Click on the button “Select file”, and browse you image. 5. You should see you avatar is now changed. 1. The image for avatar must be either jpeg or png format. 2. The best size for the image is 300 px x 300 px with 72 dpi.